Mine starts to show the 'binding' issue after warming up, most notable while trying to turn into a parking bay with a bit of steering lock. but they need to take out the part first and then match it up, will cost plenty of bucks though, and a brand new one is double-again. Last edited by ICE_BM on Thu Oct 26, 2017 11:53 am, edited 2 times in total. CorgiWerx do an exchange rebuilt refurbished centre differential unit for $325 exchange plus freight. 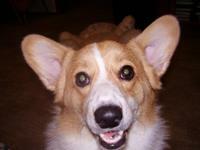 The contact links for CorgiWerx are listed here. You can contact them (or me - LOL) here on the forums or via the CorgiWerx FaceBook page. CorgiWerx (we) have 5MT cores ready to assemble and ship. (1) All 5MT Visco coupling centre Differentials for 5MT Phase 2 gearboxes are the same. (1a) There are four versions. One, being the first generation 5MT used in the pre 1999 Phase 1 gearboxes, then Two, the Phase 2 5MT unit used from 1999 through to the end of the gen4 Liberty 5MT units, just like in you MY2005 Outback. Three, the 6MT centre differential used in the TY856 gearbox in the Spec-B Gen 4 libertys, just like in your 3.0RB wagon and the Four, the last visco unit used in the TY75 6MT transmissions that came out in Gen5 Libertys and other related cars. The early Phase 1 5MT units are becoming scarce as the cars disappear off the raod. Then, there are differnt force "weights" that can be built to make stiffer centre differential units for special competition use. (2) No centre differential units are solid, that is until they are stuffed up. (4) you need to take one measurement to compare with the unit being replaced, that is to check the overall length and confirm the thrust washer clearances. That measurement is from the outside of the nose bearing to the rear of the end cap. Adjust the trust washer by any difference. Last edited by ICE_BM on Fri Oct 27, 2017 11:57 am, edited 2 times in total. Space wise, it is much simpler while the gearbox is out. I changed the clucth recently in my 3.0R-B 6MT. THAT was an easier proposition at home than fecking arround with all the driveline components plus the extra weight of the TY856 transmission. BTW, we are looking forward to receiving the exchange core returned LOL. Found zero/nil thrust washers in the existing installation. From the abscense of gasket (presence of silicon), and age/km of this car I assume the CD has been done before. I confirmed to my satisfaction that the replacement CD and existing CD are identical length, so I have assembled as previous with no thrust washers. Is this ever a 'thing' (to have none), or should I be doing the long-winded measuring exercise? What grease (if any) should I use on the replacement gearshift bushes? Sometimes the thrust washers "stick" to the transfer drive gear. The thrust washers are usually a dark-Grey/Black steel. Check that the washers are not stuck with oil up against the shoulder of the gear. You do not reallly need grease, however a bit os bearing grease or vasaline in the gap between the bushes cannot do any harm. I'm confident that the washer didn't fall off, and I -think- that I looked in that spot and saw nothing, but of course it might have been there and I missed it. There is only one way to be sure? That is, to perform the FULL factory thrust washer measurement per the servcie manual. For what it is worth, I have had to use razor blades to get under the thrust washer to remove it from output gear. The suction from the oil can be just too great. Bullet bitten, split it open again.